How did THIS story get past us? It happened in late 2017, and although we've covered weird stories before, this one will be tough to beat. How did THIS story get past us? It happened in late 2017, and although we’ve covered weird stories before, this one will be tough to beat. There’s an old joke that in fresh water, you go swimming with a buddy, and in salt water, you go swimming with your chum. This story takes that joke a little too far. It’s an unconventional story about some fishing buddies and their wild adventures together, and one really bizarre way of remembering their buddy. Of course, they threw him back. They were planning to go back again for another fishing trip. But along the way, Ron was diagnosed with — and succumbed to — Cancer. How did they remember him? They took another trip to that place they loved so much, intending to scatter his ashes in the lake at Jurassic Mountain. So far, so good. Pretty mundane, right? As you probably guessed, we wouldn’t be sharing this story unless there was a ‘twist’… and it’s one HELL of a twist. Some of the ashes were spread there in Thailand… the rest were set aside for a specific purpose. It was agreed between the three that Cliff and Paul would use some of Ron’s ashes to make boilies and then use those to catch fish in Ron’s physical absence. Leave it to fishermen to find a way to bring their departed buddy along for one last epic adventure. 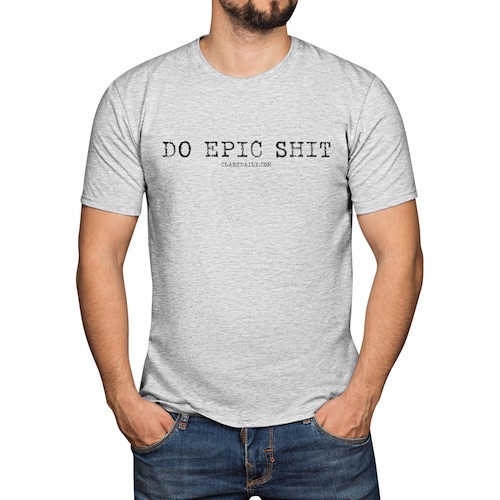 But Epic! (And they’ve got the pictures to prove it. The ‘purple Ronnies’ as they called them brought in a bunch of fish. And they had a great time. On their fifth day of fishing, Cliff experienced one of the most epic and enduring battles of his life. Paul came running around from the other side of the lake to see what all the commotion was about and what ensued was over two hours of man vs beast as the two friends took turns in fighting the fish. Finally they managed to get the fish into the net and to their complete shock it wasn’t the same 154lb fish that Ron caught previously, it was another fish, the monstrous 180lb+ carp that had remained uncaught until that moment. After a few trophy pictures with the new lake record fish, the two safely released the fish (now named Ronnie) back to fight another day. It was unanimously agreed that the two had “done Ronnie proud” in his absence. To Ronnie! And Epic Adventures! WATCH: This Snake Has No OFF BUTTON!